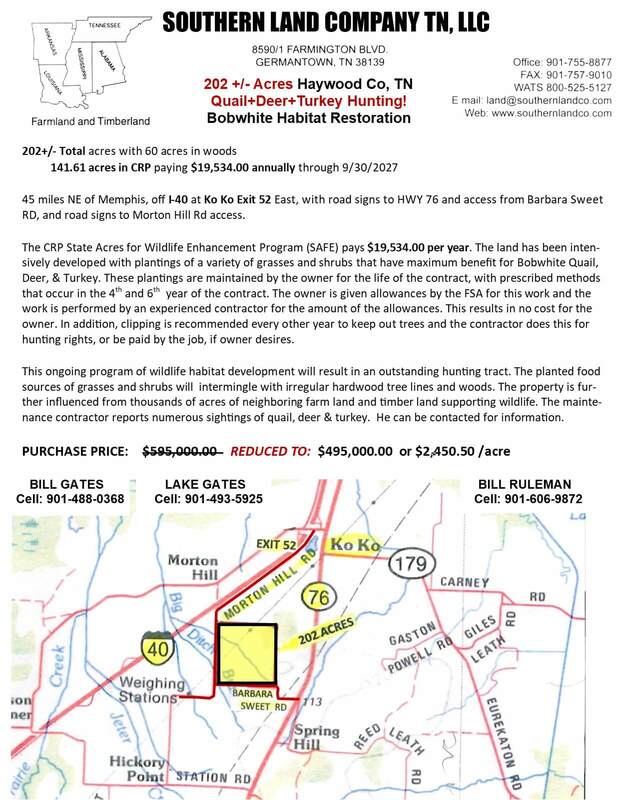 Approximately 45 miles NE of Memphis, or 30 miles SW of Jackson from I-40 at Ko Ko exit, accessed from Morton Hill Rd & Bobby Sweet Rd. 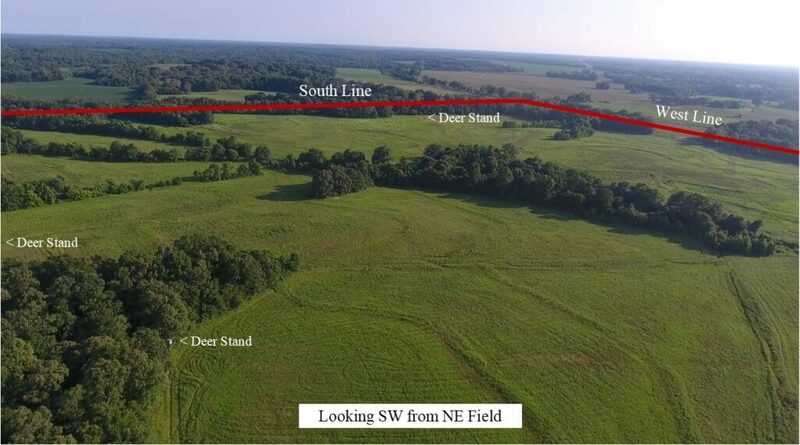 Deer, Turkey, & Small Game Hunting over mix of Farm & Timber. 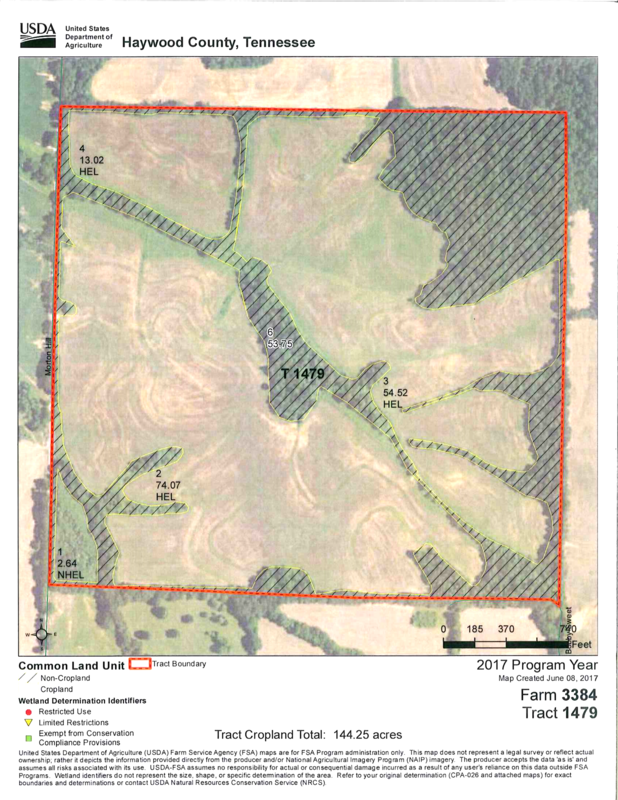 142 acres enrolled in Bob White (Quail) Habitat, with CRP income of $19.5k until 2027. Deer, Turkey, & Small Game Hunting! 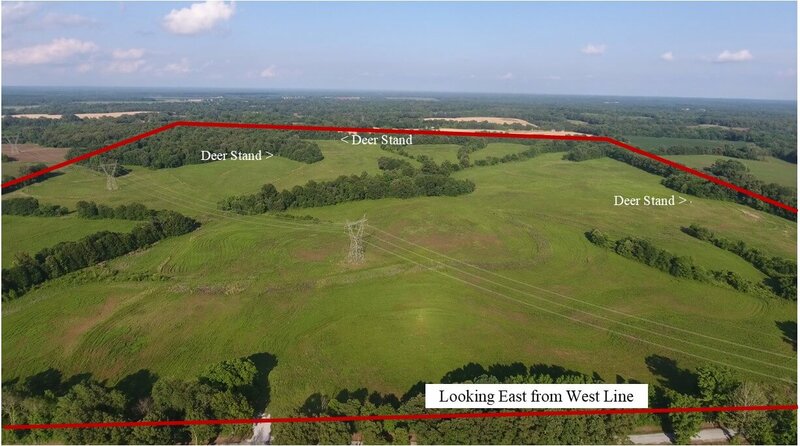 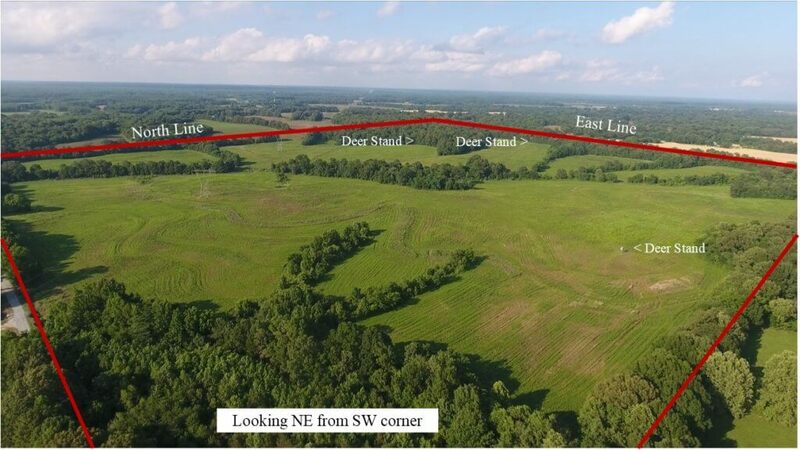 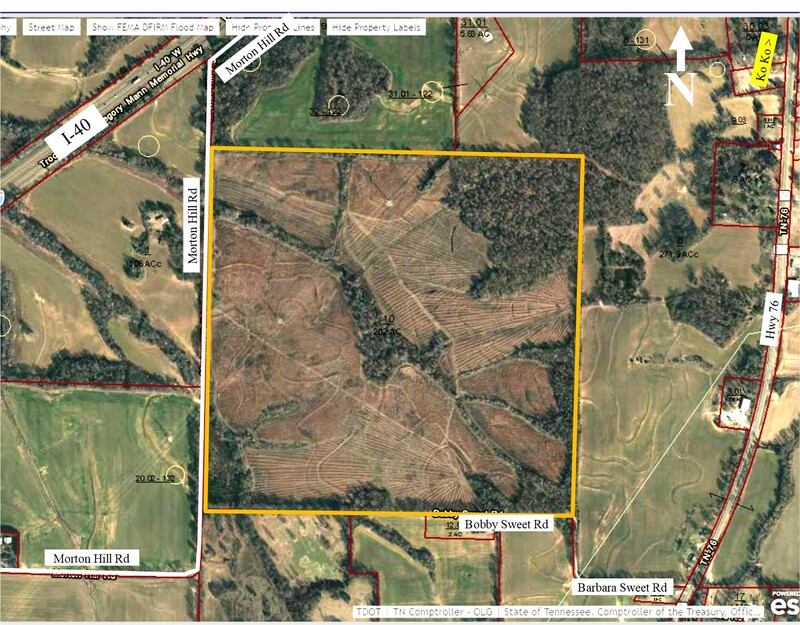 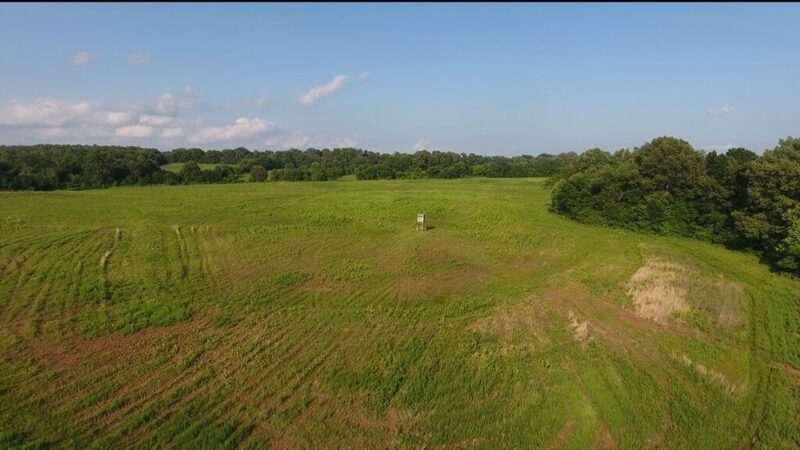 Mix of Farm & Timber with 142 acres enrolled in Bob White (Quail) Habitat with CRP income of $19.5k until 2027.